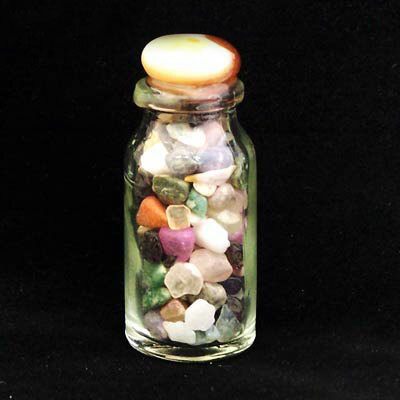 We received a limited supply of various Natural Crystal Chips in a Bottle from India and will not be getting these again. They are larger than our other gemstone bottles and are about 2-1/4" tall topped with a tumbled stone. Included in this assortment are Moonstone, Multi-Stone, Red Jasper, Rose Quartz, Tree Agate, White Quartz and Yellow Jasper.